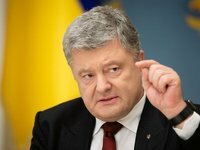 This year's presidential and parliamentary elections should become a democracy test for Ukraine, Ukrainian President Petro Poroshenko said. "The elections must be free and fair. The people's choice must be protected, and Ukraine needs to undergo a democracy test both during this presidential election and the parliamentary election," Poroshenko told the "Svoboda Slova (Freedom of Speech)" program aired by the ICTV television channel on Monday evening. Russia will try to influence Ukrainian citizens' choice but will not succeed in it, he said.